Come on in and pull up a chair. Whether you are a newcomer or an old timer you can get to know us and experience our rich heritage. 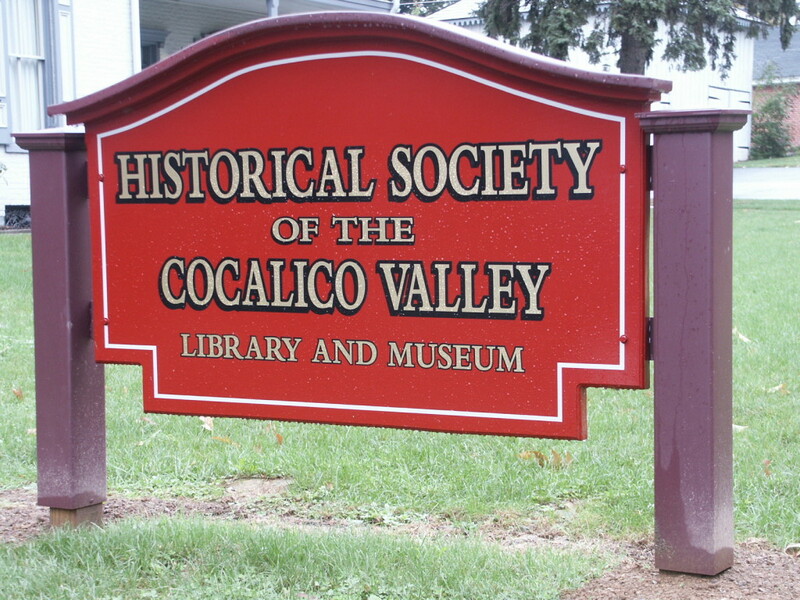 The Historical Society of the Cocalico Valley was formed in 1957 as a project of the Ephrata Recreation Center. In 1961 the Society purchased the Connell home from Alvin Wissler, who had purchased the property from the guardians and executors of Nora Connell. There is so much to see and learn about the Cocalico Valley. 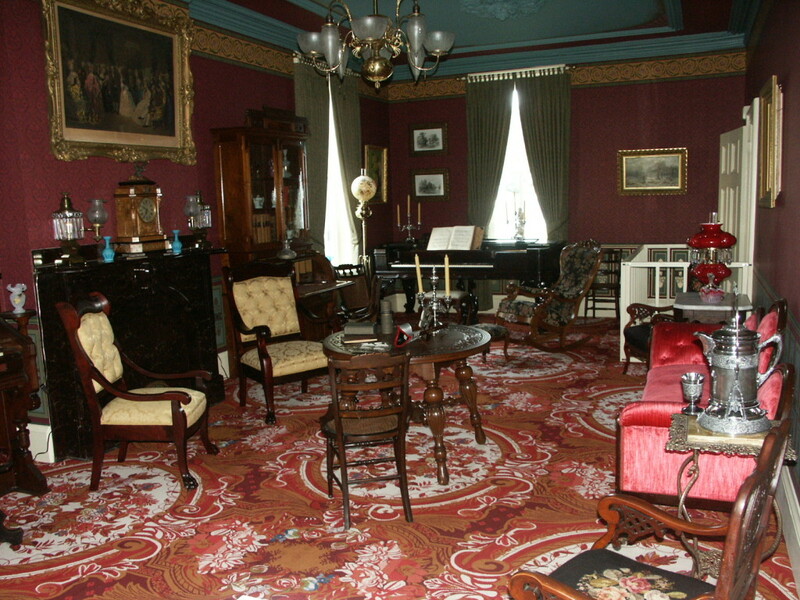 Visit the Theodore R. Sprecher Museum housed in the Connell Mansion in its Victorian elegance. 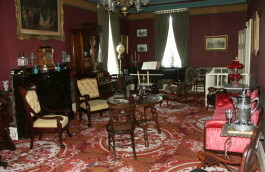 You will find thirteen rooms of exhibits with collections from the early 1800’s to present and period room settings. Be sure to see the current feature exhibit. On our campus we also have a butcher shop and working print shop. Quite possibly you may want to do some research in the library with its wealth of local history and genealogy. 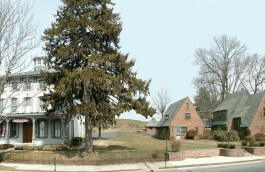 Resource materials range widely from the standard body of legal and church records to the specific and unique resources focused on the Cocalico Valley. Throughout the year we hold various events for the public. Programs are held with a range of historical presentations. For example the history of hat manufacturing and styles through the years, local medical practices, mining as well as presentations of historical landmarks and events. Each year the members celebrate with an annual picnic and a field trip is planned. Other events held are craft days, bus trips, and our popular annual Victorian Christmas open house to name a few. The Society offers an annual journal with Cocalico Valley subject matter to each member as well a newsletter and other publications. 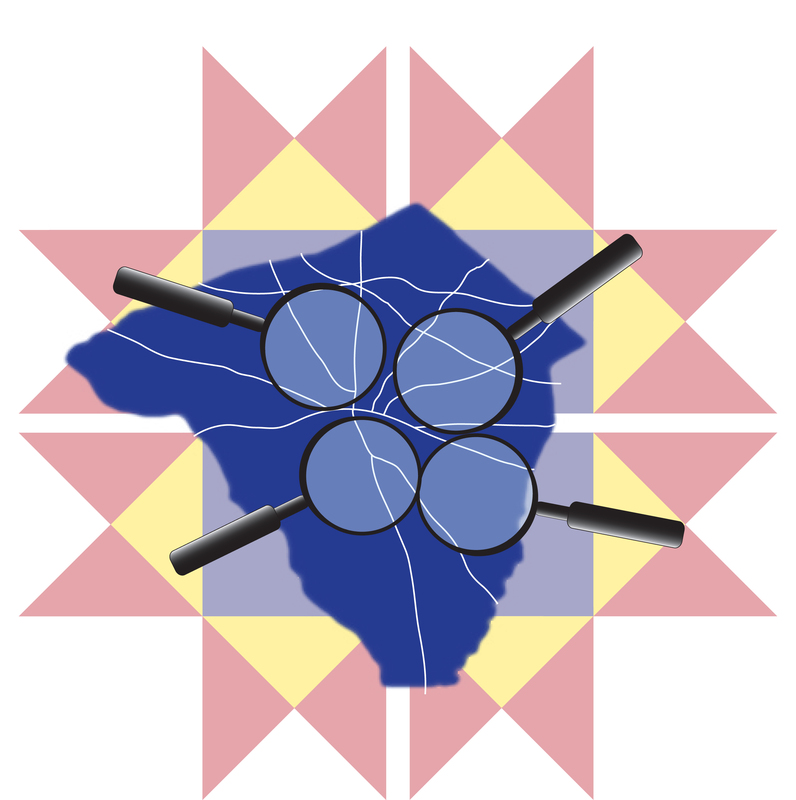 We are dedicated to discovering, gathering, and preserving materials and data relative to the heritage of the community known as the Cocalico Valley. The Cocalico Valley is defined as the Townships of East & West Cocalico, Clay, Ephrata, West Earl and a portion of Earl. This includes the Boroughs of Akron, Adamstown, Denver and Ephrata, Pennsylvania. Items found in the museum of the Society were either made in the Cocalico Valley, or are representative or typical of the things used in the Cocalico Valley area. To get a glimpse of the collections you can view an online card catalog which includes files through the year 2000. Current files can be perused in the library database. You have heard our story, maybe you have one too. We would love to have you visit and hear from you.